Healing is possible. The perpetrator, not the victim, is the guilty one. Those are the messages a Durango psychotherapist who was raped two decades ago will convey Thursday as the leadoff speaker in a series of events sponsored by a Durango sexual-assault support agency. The events will be held in April in conjunction with National Sexual Assault Awareness Month. "Sexual violence is a tool of multiple oppressions," Emily Newcomer said in an interview last week. The oppressed are victims of sexism and racism, she said. The disabled are assaulted by the able-bodied, homosexuals by heterosexuals and the economically weak by the more affluent. Sixty-one percent of all sexual assault victims are 17 years old or younger. "People at the top have unearned privileges," said Newcomer, who is the community education coordinator at the Sexual Assault Services Organization in Durango. They think of themselves as born to the purple, as it were. Newcomer, 38, was a 17-year-old high school student in the top 1 percent of her class in an East Coast city when she was raped by a male student at a nearby college. As is common with victims of any trauma, Newcomer said, she blocked out all recollection of the incident and then forgot that she had forgotten anything. The assault, which occurred in 1988, was the start of 2½ years of binge eating and purging through starvation and exercise. "My eating disorder was a way to regain control of my body - control of what I ate and how much I ate," Newcomer said. "But it's an unhealthy thing to do to your body and soul." At the heart of sexual assault is control of a victim, Newcomer said. Intuitively, she knew she had a problem, but the suspicion surfaced about the time her mother discovered a journal that she was keeping, Newcomer said. The result was a visit to a psychotherapist who specialized in eating disorders. One question from the therapist - "Has a man ever done anything to hurt you?" - released a torrent of memories and was the start of her healing, Newcomer said. "It's hard for women or men to say they've been sexually assaulted because society blames the victim, not the perpetrator," Newcomer said. "I want to say that talking about sexual violence is not taboo. Healing is within reach if even only one person listens to you and believes you." One in four women and one in 17 men in Colorado will be victims of at least attempted sexual assault, Newcomer said. The statistics are comparable to the national rate of sexual attacks, she said. Newcomer, through the Sexual Assault Services Organization, is spreading her message to kindergartners through college-aged students. Tots learn through role-playing how to stay safe, strong and free from bullying or improper advances from strangers or even adults they know. Middle school and high school students learn how to intervene in sexual situations turned violent. The agency is training adults to be first responders in sexual assaults and offers free support groups for survivors of sexual trauma. Support groups, such as one Newcomer attended as a college undergraduate, are invaluable in letting assault victims know they are not alone, she said. 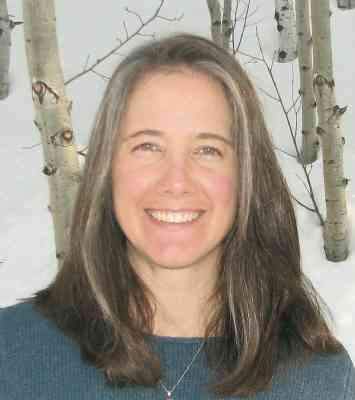 Emily Newcomer, a psychotherapist in Durango, will speak about healing from sexual assault at 6 p.m. Thursday at the Durango Community Recreation Center. The presentation is one of several sponsored by the Sexual Assault Services Organization in April. One talk is in Spanish. More information is available at 259-3074. You can call the agency’s 24-hour hot line at 247-5400 or visit its Web site at www.durangosaso.org. - April 9: Art show reception and party, time to be announced, Steamworks Brewing Co.
- April 16: Take Back the Night, 5:30 p.m., Fort Lewis College. - April 24: Day of Hope and Healing, all day at local businesses.